Can You Import Rice to Malaysia? Malaysia is considered to be really a country that imports rice. As per its rice requirement, it is being met by its import. It is also through rice import that plays an essential role in the food security of the country. Rice import also has its huge impact on the societal, political and economic stabilities. Since rice import is very common in Malaysia, many people may also be interested in it. Now, can you import rice to Malaysia? The answer to this is a “YES”. This is also provided that you follow the import custom procedures in the country. Prior to all goods, particularly rice, these must be imported and must be declared in a form of writing right through the Customs Form Number 1. Even all declarations must indicate a true and full account of the number and the description of goods (such as rice), weight, value, quantity and measurement and the final destination or country of origin. Prior to the declaration, it must also be submitted to the station of Customs at the place wherein the goods will be imported. All custom taxes and duties imposed on the imported rice will also be paid in advance before the rice will be released. The documents that need to be filled out by the Malaysian customs include the following; airway bill/bill of lading, custom entry form, pro-forma invoice/commercial invoice, packing list, certificates, licenses and relevant permits. The customs taxes and duties also need to be paid via electronic fund transfer. This must be conducted before the office of Customers that authorizes the import or export of a good. In addition to that, an import license must be obtained to allow an importer bring a specified amount/quantity of rice in a particular time period. Now, you already have learned that you can import rice to Malaysia provided that you obtain an import license and you follow the import procedures! Once you procure the license, then contact us for your requirements. 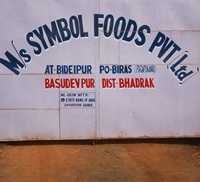 We can supply you rice in bulk from Odisha, India.